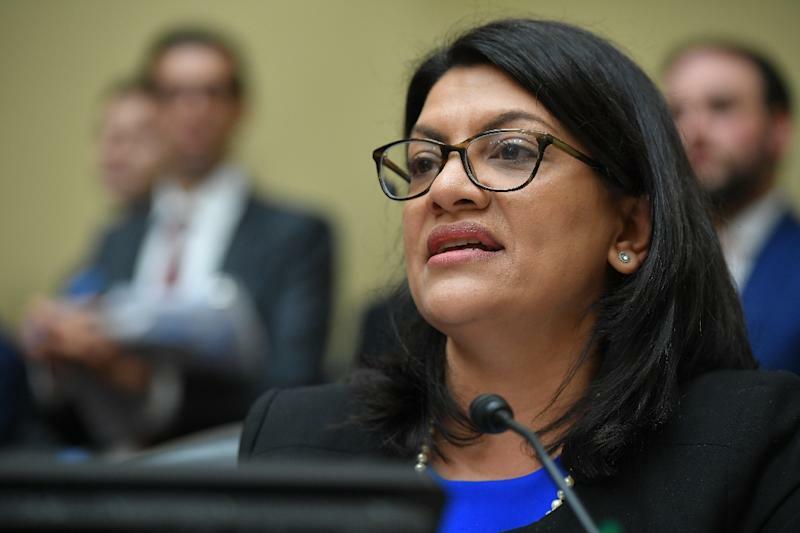 Washington (AFP) - Democrats led by an Arab-American lawmaker attacked President Donald Trump's "silence" on the rise of white supremacy Sunday as reaction to the New Zealand mosque massacre spilled into a heated US debate over religious and racial bigotry. 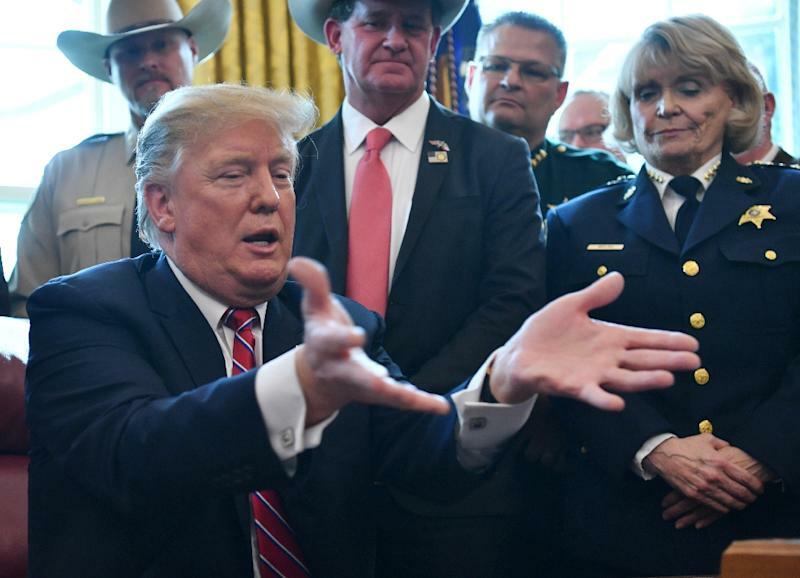 With controversy swirling over Trump's tepid response to the massacre, White House chief of staff Mick Mulvaney was forced to deny any affinity between the president's anti-immigration rhetoric and the accused Christchurch shooter's extremist views. "The president is not a white supremacist," Mulvaney said in an interview with Fox News Sunday. But on a separate Sunday talk show, Rashida Tlaib, a Democrat from Detroit and one of the first two Muslim women ever elected to the US Congress, charged that the president's failure to speak out forcefully against white supremacy was making the country less safe. "Trump is the most powerful man in the world right now," she said on CNN's "State of the Union." "He, from the Oval Office, from that power position, can be able to send a signal very loud and clear." "We've done this in the past against foreign terrorism. We need to do it on domestic terrorism, against white supremacy that's growing every single day that we stay silent." The alleged gunman -- identified as an Australian white nationalist -- livestreamed the assault on social media and published a manifesto filled with racist conspiracy theories. 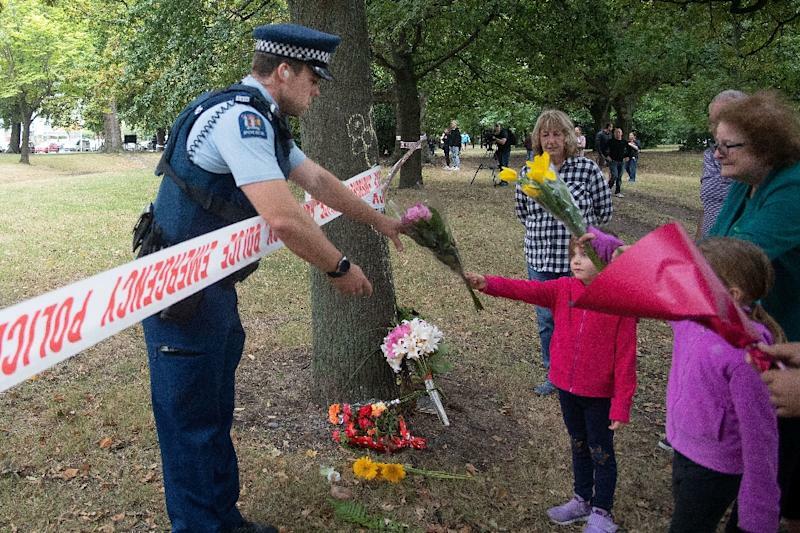 At the grassroots level, the New Zealand attacks triggered a surge of solidarity from America's Jewish and Christian communities, with hundreds of people taking part in interfaith vigils from Cincinnati to Philadelphia, Pasadena to New York. But it also resounded in a US political scene already supercharged by controversy over remarks by Ilhan Omar -- the only other Muslim woman in Congress along with Tlaib -- that supporters of Israel and many fellow Democrats perceived as anti-Semitic. The debate over bigotry quickly shifted to Trump after the atrocity in New Zealand. "Time and time again, this president has embraced and emboldened white supremacists -- and instead of condemning racist terrorists, he covers for them. This isn't normal or acceptable," tweeted Kirsten Gillibrand, who formally entered the Democratic race for the White House Sunday. Mulvaney scoffed at the idea that Trump's anti-immigrant rhetoric and policies had anything to do with the New Zealand attack. "Let's take what happened in New Zealand yesterday for what it is -- a terrible evil, tragic act and figure out why those things are becoming more prevalent in the world. Is it Donald Trump? Absolutely not. At key moments of his presidency, however, Trump has soft-pedalled the danger of white nationalism, most famously when he found blame "on both sides" after a "Unite the Right" rally turned violent in Charlottesville, Virginia in August 2017. In that case, a Neo-Nazi sympathizer drove into a crowd of counter-protesters, killing a young woman and injuring 19. Former vice president Joe Biden, a possible Trump challenger in 2020, evoked Trump's response to Charlottesville in a campaign-style speech in Delaware Saturday. "Our children were listening. Our silence is complicity. With these words, the president of the United States assigned a moral equivalence between those spreading hate and those with the courage to stand against it," he said. "And in that moment, I knew the threat to this nation was unlike any I had seen in my lifetime." A former federal judge, Pirro had questioned whether the Muslim faith of Ilhan Omar, the Democrat accused of anti-Semitism, prevented her from supporting the US Constitution. Pirro's show, "Justice with Judge Jeanine" has been off the air since then. "Bring back @JudgeJeanine Pirro. The Radical Left Democrats, working closely with their beloved partner, the Fake News Media, is using every trick in the book to SILENCE a majority of our Country," Trump tweeted.